Budapest is the scene of the whole of [III.2]. The action takes place on the outskirts of the city in Újpest and Isatarcsa, on and around a military station on the Pest side of the Danube. It is a story of constant delays of the departure, of food that is promised but never arrives, of Švejk's first conflict with the lieutenant Dub, of Švejk being accused of stealing a hen. At the end of the stay Marek re-enters the story as battalion chronicler. The principal historical reference is Italy's war declaration on Austria-Hungary on May 23 1915. The march battalion stays in Budapest for two days. Budapest was in 1914 capital of the kingdom of Hungary, one of the two constituent parts of the Austria-Hungary. Franz Joseph I was crowned king here in 1867 under the name I Ferenc Jószef. The city has since 1918 been capital of the republic of Hungary. Budapest has today around 1.7 million inhabitants and is by far the largest city in the country. It is situated on both sides of the Danube, with Buda as the old part on the west bank, and Pest as the administrative and political centre on the east bank. Jaroslav Hašek passed the city with his 12th march batallion around July 1 1915. According to the poem Cestou na bojiště (The Road to the Battlefield) they arrived here in the morning, just like in the novel. It was surely the day after the departure from Királyhida, but they seem to have travelled onwards quickly: through Rakos, Aszód and Hatvan. It is also known that Hašek visited Budapest in the summer of 1903, on the way to Balkans. Gödöllő is mentioned by captain Ságner just after the train arrives in Budapest. The company was supposed to get 15 decacrams of Emmenthal cheese per soldier there. The company must have travelled past Gödöllő on the way to the front but there is not further mention of it. Gödöllő is a town north of Budapest which in the times of the Dual Monarchy was a summer residence of the Hungarian king (Franz Joseph I). It was even more frequently visited by the queen (Sissi) and was a popular place amongst the upper layers of society. Jaroslav Hašek and his 12th march battalion no doubt passed through on the way to the front, most likely on 1 July 1915 (they left Bruck an der Leitha the previous evening). Gödöllő is mentioned already in 1904 in one of Hašek's short stories and the author may well have visited the town already then. The neighbouring town of Hatavn is mentioned in the same story. Na svazích Hegyalye (Illustrovaný svět, 3 June 1914). Emmental is indirectly introduced to the story through Emmental cheese which the men were supposed to get 15 decagrammes of in Gödöllő. Captain Ságner is requesting this, on behalf of his men, from the commander of the military railway station in Budapest, a major. Emmental is a valley in the Bern canton in Switzerland, known for its cow milk cheese. Emmental was not a protected denomination so the cheese in question probably came from Austria-Hungary. At least the advert to the right indicates as much. Here 30 decagrammes are on offer, so durable that it can even be dispatched by Feldpost. Jaroslav Hašek introduced Emmental cheese already in his poem Road to the battlefield from 1915. He also visited the area in 1904 and wrote a few stories set there. Beroun is mentioned together with Na Zderaze, Tábor, Příbram and Mladá Boleslav when Švejk reels off for Lukáš the cases of liver paté poisonings he has read about. Beroun is an industrial town 30 km south-west of Prague, situated by the river Berounka. Mladá Boleslav is mentioned together with Na Zderaze, Tábor, Příbram and Beroun when Švejk reels off for Lukáš the liver paté poisonings he has read about. Mladá Boleslav is a city in Central Bohemia, on the left bank of the Jizera river about 60 km northeast of Prague. It is known for the Škoda car factory. Příbram is mentioned together with Na Zderaze, Tábor, Mladá Boleslav and Beroun when Švejk reels off for Lukáš the liver paté poisonings he has read about. Příbram is a city in the western part of Bohemia. It has around 35,500 inhabitants and is situated about 60 km south west of Prague. Canisiusgasse is referred to by the author as the street street where the Commission for War Graves is located. Canisiusgasse is a street in Vienna. Komitee für die Kriegsgräber-fürsorge in Österreich was located in Canisiusgasse 10. [3.2] Místo patnácti dekagramů ementálského sýra, který měl zde být rozdán, dostal každý po škatulce zápalek a jednu pohlednici, kterou vydalo komité pro válečné hroby v Rakousku (Vídeň XIX/4, Canisiusgasse). Siedliska and the local war graves was depictied on the postcard from the War Grave Commission in Canisiusgasse. Siedliska is a village in Western Galicia, south of Tarnów. In November 1915 it was decided to build a memorial complex of war graves here. It currently consists of 378 cemeteries with a total of 60,000 graves. Heinrich Scholz was project architect and technical supervisor for many of the war cemeteries. The memorial was often photographed, paintings were made and sculptures created. Note that the author here surely has used printed material from the War Grave Commission as source. He has ignored the fact that this war grave complex by Siedliska did not yet exist when this episode in the novel took place (end of May 1915). Am 3. November 1915 wurde durch das Wiener Kriegsministerium die Kriegsgraberabteilung mit der Nummer 9 mit weitgehenden Befugnissen geschaffen. Vicenza is one of the battle grounds mentioned in the telegram from the brigade as the news of Italy's declaration of war breaks. Vicenza is a city in the Veneto province of Italy, situated between Verona and Venice. The battle referred to took place on 10 June 1848 during the First Italian War of Independence. The Austrian army was commanded by Radetzky. [3.2] V to důvěřujeme pevně, že s pomocí boží brzy nadejde den, kdy roviny italské opět uvidí vítěze od Santa Lucia, Vicenzy, Novary, Custozzy. Chceme zvítězit, musíme zvítězit, a jistě zvítězíme! Novara is one of the battle grounds mentioned in the telegram from the brigade as the news of Italy's declaration of war breaks. Novara is a city in Piedmont, situated 50 km west of Milan. The battle referred to took place on 23 March 1849 during the first Italian war of independence. Other battles in this war (mentioned in Švejk) took place by Santa Lucia, Vicenza, and Custoza. The Austrian army was commanded by Radetzky and the Austrian victory led to Sardinia asking for peace. Venice had been honoured by a visit from the cook Jurajda who could inform his fellow soldiers than everything was "porco" in Italy, even the pope. Venice is a city in the north-eastern part of Italy which until 1797 was the capital of the Venetian Republic. After the Napoleonic wars it was ruled by Austria until it was ceded to Italy in 1866. Venice is also the theme in the story Turista Aratáš that Hašek got published in Venkov in 1911. In the story many of the city's buildings and landmarks are mentioned, amongst them Fondaco dei Turchi, Palazzo Pesaro, Palazzo Grimani, Palazzo Contarini delle Figure, Canal Grande, Ponte di Rialto, Palazzo Manin, Bacino Orseola. Krameriova ulice is mentioned in Švejk's urine analysis story. The pub where the story started was in this street. Krameriova ulice was the name of a street in Královské Vinohrady, named after the author and publister Václav Kramerius. The current name of this street Americká in the lower part and Kopernikova in the upper. [3.2] „Vono se řekne,“ usmál se Švejk, „pomstít se. Někdo myslí, že se pomstí, a nakonec to vodnese ten, koho si jako takovej člověk vybral za nástroj svý pomsty. Když jsem bydlel před lety na Vinohradech, tak tam bydlel v přízemí domovník a u toho na bytě byl jeden takovej malej ouředníček z ňáký banky, a ten chodil do jednoho výčepu v Krameriově ulici a pohádal se tam jednou s jedním pánem, kerej měl takovej ňákej ústav na Vinohradech pro analysu moče. Ulice Čelakovského is mentioned in Švejk's urine analysis story. Málek chases the urine-analysis man through this street and on down Havlíčkova třída. Ulice Čelakovského was the name of a current Ulice Jana Masaryka in Královské Vinohrady. According to police records Jaroslav Hašek lived in no. 29 for a while (confirmed by the police on 20 June 1904). Habsburg has incredibly enough not been mentioned directly until now, but finally the name of the ruling house enters the story through the authors introduction of lieutenant Dub. The latter is a teacher of Czech in civilian life and is very loyal to the Imperial house. He frequently gave his pupils assignments on the Habsburgs. Habsburg was a place in the Aarau canton of Switzerland which gave its name to the royal house which were to rule large parts of Europe from the 15th century until 1918. At one time or another the Habsburgs ruled Austria, Bohemia, Moravia, Hungary, parts of the Balkans, Spain, Belgium, Netherlands, parts of Sveits, Italy, Southern Poland, Galicia and parts of Germany. Austria-Hungary was their last posession, WW1 meant the final nail in the coffin as a royal house. Over the years they expanded their possessions both by warfare and royal alliances and marriages. Bohemia came under Habsburg rule in 1526 as the Czechs elected Ferdinand of Habsburg as their king. Hungary became part of the Habsburg dominions the same year. Most císaře Františka Josefa I. is mentioned in the description of Dub, who had punished a pupil who had written in an assignment that the Emperors greatest achievement was to build this bridge in Prague. It has already been mentioned by Švejk who used the popular name Eliščin most. Most císaře Františka Josefa I. was the name of the bridge in Prague that was demolished in 1947. The current Štefánikův most was built on the same spot. [3.2] e vyšších třídách byla ta themata ovšem spletenější, jako kupříkladu úloha pro septimány: „Císař František Josef I., podporovatel věd a umění“, kteráž práce vynesla jednomu septimánovi vyloučení ze všech středních škol říše rakousko-uherské, poněvadž napsal, že nejkrásnějším činem tohoto mocnáře bylo založení mostu císaře Františka Josefa I. v Praze. Tripoli is mentioned by lieutenant Dub when he pontificates to the officers about the background for Italy declaring war on its formal ally Austria-Hungary. He also touches on the war between Turkey and Italy about Tripoli. Tripoli is a city in North Africa, now the capital of Libya. It was under Ottoman rule until 1912. Italian supremacy was established that year after a year of armed conflict. [3.2] „Celkem vzato mě naprosto nepřekvapilo vystoupení Italie. Čekal jsem to již před třemi měsíci. Je jisté, že Italie značně zpyšněla poslední dobou následkem vítězné války s Tureckem o Tripolis. Kromě toho příliš spoléhá se na své loďstvo i na náladu obyvatelstva v našich přímořských zemích a v jižním Tyrolsku. Merano (Meran), now in Italy. South Tyrol is mentioned by lieutenant Dub when he pontificated to the officers about the background for Italy declaring war on Austria-Hungary. South Tyrol was part of Austria until 1919 when it was annexed by Italy. The province still has a German speaking majority. Milititarily the area was very important for Austria-Hungary because Italy claimed. The enormous system of fortresses aropund Trento was the pivot of the defence but garrisons existed also elsewhere. Prague's own IR28 was partly located here, and several om Hašek's friends served with the regiment here. Szatmár is mentioned through Archbishop Géza of Szatmár-Budafalu. Szatmár is a historical Hungarian county. After the Treaty of Trianon most of the area was ceded to Romania, including the city the county is named after, contemporary Satu Mare. Budafalu is mentioned through Archbishop Géza of Szatmár-Budafalu. Budafalu is a Hungarian name of the village Budeşti in Maramureş County in north-western Romania. Sources also refer to it as Budfalu or Budfalva. Budfalu is the name used on the Austro-Hungarian Miltary Survey map from 1910. Budfalu is also mentioned in one of Hašek's short stories and the additional information he provides leaves no doubt that this is the place in question. The author has probably visited on one of his many wanderings. The area was ceded to Romania in 1921. Újpest is mentioned when the author tells how a group of Bosnians have been stranded for a few days and having to beg for food in Újpest. The military railway station where the plot takes place was probably Rákosrendező. Újpest is a suburb of Budapest, the name means "New Pest". It is situated north of the centre, on the east bank of the Danube. In 1915 it was still a separate town. Prešov is mentioned by Bautanzel when he relates about his experiences at the front in the Carpathians. Prešov is a city in the Šariš region in eastern Slovakia, then ruled from Hungary. Today, it is with 100,000 inhabitants, the third largest city in the country. [3.2] Panečku, než jsme přijeli tenkrát do Prešova, tak jsme měli haldy všeho, na co si člověk pomyslil. Měl jsem schováno deset tisíc memfisek, dvě kola ementálského sýra, tři sta konserv, a potom, když už se šlo na Bardějov do zákopů, Rusové od Mušiny odřízli spojení na Prešov, potom se dělaly obchůdky. Bardejov is mentioned by Bautanzel when he relates about his experiences at the front in the Carpathians. Bardejov is a city in eastern Slovakia, nort of Prešov, near the Polish border. The city is on the UNESCO World Heritage list. Muszyna is mentioned by Bautanzel when he relates about his experiences at the front in the Carpathians. The Russians came from here to cut the connection between Prešov and Bardejov. Muszyna is a small town in the Carpathians, situated in Poland just west of Bardejov. The town was strategically important because of the railway line across the mointains. Podolínec is mentioned by Bautanzel when he relates about his experiences at the front in the Carpathians. The Russians had reached it and were now threatening Bardejov from the west. Podolínec is a town in Slovakia, on the southern side of the Carpathians near the border with Poland. [3.2] Za tu celou dobu, co jsme stáli pod Bardějovem, jsem si při nákupu dobytka neušetřil víc než něco málo přes dvanáct set korun, a to jsme ještě většinou namísto peněz dávali poukázky se štemplem batalionu, zejména poslední dobou, když jsme věděli, že Rusové na východ od nás jsou v Radvani a na západ v Podolíně. Hatvan is mentioned as the railway line there was blocked by a train of wounded. This delayed the departure from Budapest with 4 hours. The battalion is promised bread there because the previous transport didn't get anything. The company must have travelled past Hatvan on the way to the front but there is not further mention of it. Hatvan also appears in the header of [III.3]. Hatvan is a town and railway junction north-east of Budapest, on the line to Miskolc. Hatvan is mentioned already in 1904 in one of Hašek's short stories and the author may well have visited the town already then. The neighbouring town of Gödöllő is mentioned in the same story. Na svazích Hegyalye (Illustrovaný svět, 3 June 1904. [3.2] Potom přišla zpráva, že se pojede ještě až za čtyři hodiny. Trať nahoře na Hatvan že je zastavena vlaky s raněnými. Také se rozšiřovalo po nádraží, že u Jágru srazil se jeden sanitní vlak s nemocnými a raněnými s vlakem vezoucím dělostřelectvo. Z Pešti že tam jedou pomocné vlaky. Subotiště is mentioned by the latrine general in Budapest when he tells the officers about the logistical mess when delivering gulash and potatoes in Bosnia. Subotiště can not be identified with certainty as there is no railway station carrying this name in southern Bosnia. The general is therefore probably talking about "the station Subotica on the South Hungarian Railway". This city is an important railway hub on the line between Budapest and Belgrade, and many troop transport trains passed through it early in the war. Since 1920 the city has been part of Serbia, but the majority of the population are still etthnic Hungarians. [3.2] Při revisi stanice Subotiště na jižní dráze bosenské zjistil jsem, že šest ešalonů nedostalo večeři, poněvadž o ni zapomněli velitelé ešalonů žádat. Šestkrát se na stanici vařil guláš s brambory, a nikdo o něj nežádal. Rákospalota is mentioned as Švejk knew the way all the way from the station to there. Rákospalota is a district of Budapest, situated east of Újpest. [3.2] „Poslušně hlásím, pane obrlajtnant, že už se vypravil,“ rozjasněně hlásil Baloun. „Řekl, že pan obrlajtnant bude spokojen a že panu obrlajtnantovi budou všichni závidět. Šel někam z nádraží a říkal, že to tady zná až za Rákošpalotu. Kdyby snad vlak bez něho odjel, že se přidá k automobilové koloně a dohoní nás na nejbližší stanici automobilem. Aszód is mentioned when it, after another delay, is announced that the battalion is moving on to Gödöllő-Aszód at two o´clock in the afternoon. The company must have travelled past Aszód on the way to the front but there is not further mention of it. Aszód is a town nort-east of Budapest, on the railway line between Gödöllő and Hatvan. [3.2] Přinesli zprávu z kanceláře velitelství, že se pojede až odpůldne ve dvě hodiny na Gödöllö-Aszód a že se fasuje pro důstojníky na nádražích po dvou litrech červeného vína a láhev koňaku. Říkalo se, že je to nějaká ztracená zásilka pro Červený kříž. Gumpoldskirchen is mentioned as there appears a shipment of cognac and Gumpoldskirchen wine. The shipment was for the Red Cross but had got lost, but now benefited the officers, particularly hejtman Ságner. Gumpoldskirchen is a wine-producing town in the district of Mödling in Lower Austria, south of Vienna. [3.2] Říkalo se, že je to nějaká ztracená zásilka pro Červený kříž. Ať se to mělo jak chce, spadlo to přímo s nebe a ve štábním vagoně bylo veselo. Koňak měl tři hvězdičky a víno bylo známky Gumpoldskirchen. Isatarcsa is the scene of Švejk's alleged hen-theft. This, as many of our heroe's little accidents, happens when he wants to please his obrlajtnant. 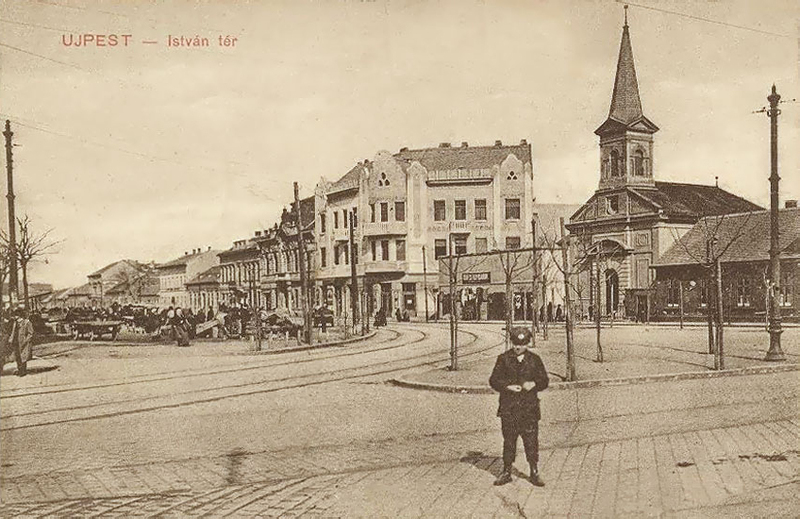 He is arrested by some honvéds and led back to the railway station, giving Lukáš another headache. Švejk describes the village as consisting of thirteen streets. At the end of the chapter the train disappears behind Isatarcsa as Nasáklo is left at the station (in Budapest) haggling with a prostitute. Isatarcsa is with near certainty Kistarcsa, a small town just outside Budapest. This goes well with the description of the rest of the stay in Budapest. The Hungarian translator makes the same assumption, and has "corrected" Hašek accordingly. A military map from 1910 confirms that there was a railway line went past here and that there was a station. [3.2] Nezbývalo již nic jiného než koupit slepici. Šel jsem tedy za nádražím do Išatarči. Je to vlastně vesnice, jako by to nebylo žádný město, ačkoliv je tam napsáno v první ulici Išatarča vároš. Projdu jednu ulici se zahrádkami, druhou, třetí, čtvrtou, pátou, šestou, sedmou, osmou, devátou, desátou, jedenáctou, až v třinácté ulici na samém konci, kde za jedním domkem už začínaly trávníky, páslo se a procházelo stádo slepic. Transylvania is mentioned by Švejk; from the hen there will be made such good chicken soup that it can be smelt all the way to Transylvania. 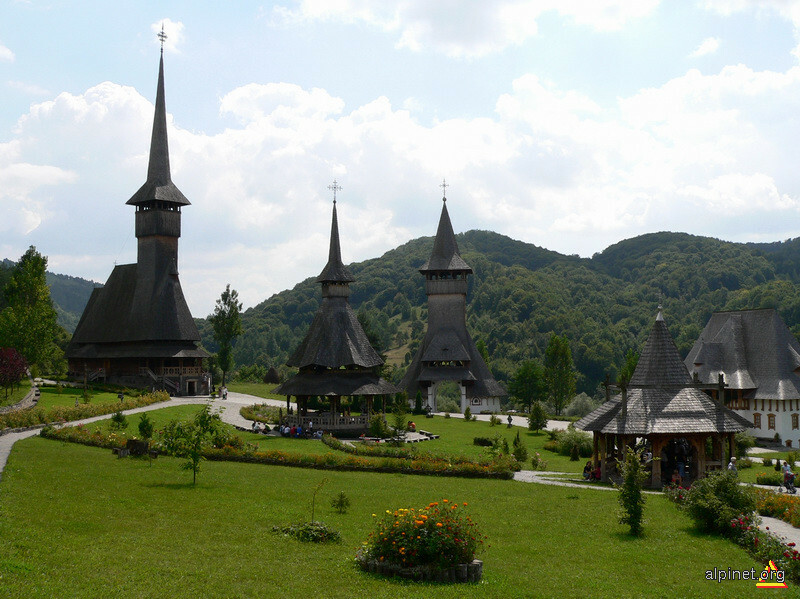 Transylvania is an area of Romania that until 1920 belonged to Hungary. It was at the time ethnically more mixed than today; large groups spoke Hungarian and German. The area covers most Romania west of the Carpathians. Philippi is invoked by Dub as threat against Švejk: "At Philippi we will meet". Svejk interprets this as a place where homosexuals meet and has thus classed Dub as such. Philippi was a city of ancient Greece. The quote Dub uses may be from "Julius Caesar" by William Shakespeare, alluding to Caesar's killer, Brutus, who was amongst the loosers at the battle of Philippi in 42 BC. Plutarch famously reported that Brutus experienced a vision of a ghost a few months before the battle. One night he saw a huge and shadowy form appearing in front of him; when he calmly asked, "What and whence art thou?" it answered "Thy evil spirit, Brutus: I shall see thee at Philippi." He again met the ghost the night before the battle. Praha II. is mentioned in Švejk's story about two abandoned sluts who raped a 100-year old man by Roztoky. A great number of the places mentioned in the novel are located within the district, amongst them U kalicha. The plot of the first seven chapters of the book almost exclusively takes place here. Praha II. is an administrative district of Prague which includes all of Vyšehrad and parts of Královské Vinohrady, Nové Město and Nusle. Until 1922 Prague II. was much smaller than today, and was identical to Nové Město. It was in this district Jaroslav Hašek was born, grew up, went to school and completed his higher education. As an adult he lived here in long periods until the end of 1914. [3.2] “Vona je to holt vášeň, ale nejhorší je to, když to přijde na ženský. V Praze II byly před léty dvě vopuštěný paničky, rozvedený, poněvadž to byly coury, nějaká Mourková a Šousková, a ty jednou, když kvetly třešně v aleji u Roztok, chytly tam večer starýho impotentního stoletýho flašinetáře a vodtáhly si ho do roztockýho háje a tam ho znásilnily. Co ty s ním dělaly! Roztoky er is mentioned in Švejk's story about two abondoned sluts Mourková and Šousková who raped a 100-year old here. Roztoky is a small town by the Vltava just north of Prague. Pečky is essential in the anecdote Švejk tells in Budapest about train number 4268 which was left standing at track 16 here. This long story completely crushed the brutal sergeant Nasáklo. Pečky is a minor town in the Kolín district east of Prague. It is situated on the railway line between Praha and Brno. The town has a railway station but it is questionable if it had 16 tracks as it is a very small town and it is not a railway junction. [3.2] Švejk si mezitím prohlížel číslo na ručnici a ozval se: „4268! Takový číslo měla jedna lokomotiva v Pečkách na dráze na šestnácté koleji. Měli ji odtáhnout do depot v Lysý nad Labem, ku správě, ale vono to tak lehce nešlo, poněvadž, pane šikovateli, ten strojvůdce, který ji tam měl odtáhnout, měl velmi špatnou paměť na čísla. Lysá nad Labem is part of Švejk's anecdote about train number 4268 which was going to the depot her. See Pečky. Lysá nad Labem is a town by the Labe (Elbe) north-east of Prague. Klokoty is mentioned by Baloun who went there on a pilgrimage trip to beg the Lord to relieve him from his voracity. Klokoty is a pilgrimage site a short walk west of Tábor. Klokoty is now part of the city district. [3.2] Baloun zaúpěl, že už ztratil důvěru v pána boha, poněvadž už kolikrát se modlil, aby mu dal tolik síly a nějak mu ten jeho žaludek sescvrknul. „To se nedatuje vod týhle vojny,“ zabědoval, „to už je stará nemoc, tahle moje žravost. Kvůli ní chodila žena s dětma na pouť do Klokot.“ „To znám,“ poznamenal Švejk, „to je u Tábora a mají tam bohatou panenku Marii s falešnejma briliantama, a chtěl ji vokrást jeden kostelník vodněkud ze Slovenska. Moc nábožnej člověk. Madrid is mentioned by Marek when refererring to the commander of the Madrid fortress who ate his servant during the Napoleonic wars. This story has similarities with information the author gave in Book One, see Fernando and Toledo. Madrid is the capital av Spain and the country's largest city with 3.2 million inhabitants. It is the third largest city in the EU. Madrid was from 1808 to 1813 occupied by French troops and Napoléon's brother, Joseph was installed as king. The Madrid uprising on May 2 1808 is the best known event from this period, and the date is a national holiday. The information given in the novel is dubious. Madrid did not experience any long siege during the Napoleonic Wars, nor did Toledo. The most likely historical event referred to is one of the two sieges of Zaragoza.